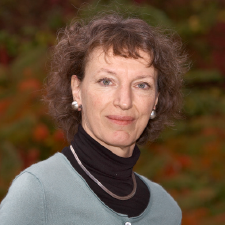 This President’s Column is by guest columnist Maria Leptin, Director of the European Molecular Biology Organization (EMBO). EMBO and ASCB are holding joint meetings in 2017 and 2018. Publishing scientific results involves a large and complex network of participants and interested parties, each with its own range of priorities and constraints. Apart from us, the researchers, these include the general public (and the politicians and governments as their representatives), the publishers (some of whom are not-for-profit community-driven associations), as well as funders and educational and research institutions (and their representatives, the librarians). The scientific community has become increasingly interested in the machinations of the scientific publishing enterprise and has taken action to exert influence. This interest stems both from the perceived problems with the current publishing system and the importance of publications for research evaluation. The desire of both researchers and policymakers to make research results more widely available led to the open access (OA) movement that resulted in the creation of the PLOS suite of journals and other OA journals. More recently, the wish to make research results publicly available without having to await the outcomes of repeated rounds of peer review drove the creation of ASAPbio and the movement to promote preprints. And the frustration with the inappropriate use of publication metrics gave rise to the San Francisco Declaration on Research Assessment (an initiative that EMBO is proud to support alongside ASCB). cess to the paper on the journal’s server or elsewhere from the moment it is published on an open license (usually one of the Creative Commons license, where the CC-BY license, which permits any reuse of the work as long as the creator is acknowledged, is regarded as “pure gold”). An increasing number of funders are making ever stronger demands for the work they finance to be published OA. The Gates Foundation now insists on gold OA for all its funded research and has set aside money to support this. In Europe, the European Commission, various national governments, and the European Research Council have declared they intend to mandate OA by 2020. This will be a positive step—but we must keep in mind that it may result in unintended changes in how science is communicated. It is unclear if the consequences have been considered in sufficient depth, and what rules and mechanisms will be put in place. Will funding of OA fees, as by the Gates Foundation, become the rule? What type of access will be considered appropriate? Green OA would be an easy solution because it sounds like OA and seems to interfere minimally with current publishing mechanisms, but I will argue that it is an expensive halfway house with limited benefit to the scientific community or indeed the public. If we want OA to work in a sustainable manner for papers in high-quality, peer-reviewed journals, it has to be gold and not green. And even if we don’t care about peer review or quality control by journals, there is a better solution than institutional green OA for disseminating articles: the posting of preprints. At first sight it seems like a good solution for researchers to archive their published papers in a local repository financed by the institution. We might assume that if all institutions did this, the publishing culture could continue as it is now: We try to fight our way into the glossy journals, and if we don’t get our papers accepted there, we go to the next best place. Wherever our papers eventually end up, our institutions will put them in their open archives and the demand for OA will apparently have been fulfilled. However, if this becomes the global approach, the current publishing world would in fact not continue as it is. Instead, most of the peer-reviewed journals that currently run on subscriptions would either disappear or would have to charge much higher OA fees, because the current economic model would not be sustainable. Why does green OA not provide a sustainable solution? Because in many cases OA fees cannot compensate for lost subscription revenue. Subscriptions are paid for by libraries, and librarians have to be sharp negotiators because they have to look after tight budgets while also wanting to provide maximal service to their institutions. So if an increasing number of papers in a journal for which they pay a subscription fee are available for free, they begin to ask themselves why they should continue to pay for the journal. Currently, this is taken into account in many contracts for “hybrid OA” journals, i.e., journals that are paid for by subscriptions, but also collect fees from authors who opt to have their papers published with OA. To prevent financial “double dipping” by the journal, publishers and librarians often negotiate contracts in which the subscription fee is reduced proportionally to the number of OA articles in the journal. Alternatively, publishers may charge subscribers only for the non-OA content. Obviously, if the number of author-paid OA articles reaches 100%, then the subscription fee formally disappears. If the OA fees from the authors are high enough to cover the cost of running the journal, this is no problem. But to cover those costs, the per-article fee would have to be higher for journals that publish fewer articles. Only at high numbers of articles does the incremental cost of an additional article become proportional to the number of articles, so making enough money usually requires publication of large numbers of articles. In our experience at EMBO with our own OA journals (Molecular Systems Biology and EMBO Molecular Medicine), sustaining highly selective journals exclusively with OA fees is extremely challenging. Only high-volume, less-selective journals such as PLOS ONE, the Nature Communications/Scientific Reports combo, and other so-called mega-journals can comfortably cover their costs and even make a profit. By some accounts, PLOS ONE is one of the most profitable journals in the world. So if librarians even now demand rebates for journal subscriptions if a few articles are OA, is there any reason to believe they will continue to pay for subscriptions if all articles are freely accessible? In the case of gold OA—where the journal publishes the article in such a way that readers can access it for free, and the author pays a fee—it may be feasible to find a financial model to fund the journal despite the challenges discussed above. But in the case of green OA, where the author simply deposits the paper in an institutional archive or repository for free, how are the real costs of the journals that are ultimately responsible for publishing the final peer-reviewed and revised version of the paper to be covered? It is not clear to me what the journals that have agreed to green OA for authors from certain institutions or funders are planning for the day when all funders and institutions will mandate OA. But it is also not clear to me what the journals that have anti–double-dipping contracts will do if the author fees do not cover the full cost of processing the article—and this includes EMBO’s own hybrid journals. There are other disadvantages of green over gold OA: Institutional repositories are poorly indexed and not interoperable. As a consequence, the posted papers are less discoverable than papers in journals. Covering the cost of duplicate storage of files on an institutional repository when they are already present on journal servers does not seem like a good way of spending tax money. Some journals don’t allow posting of the post-review version, but posting pre-review manuscripts muddies the literature because it may lead to confusion over what the copy of record is. It also means the reader does not have access to the material that has been improved by the peer review process or any additional data that were added during revision, and may not be aware of published corrections or retractions. The physics community has a more sensible way of making their manuscripts accessible, and crucially, before publication in peer reviewed journals, namely by posting them on arXiv. The move to copy this culture in the life sciences made a step forward with the creation of the bioRxiv server in 2013. Preprints have really taken off this year under the guidance of ASAPbio. The push to post preprints was born from a different concern, namely to speed up access to new research results rather than to promote OA, but if posting preprints in recognized, well-managed open repositories before submission to journals would become widely adopted, this would be a better solution than the dispersed storage of green OA papers, even if there was more than one preprint server. And posting before submission is also more useful than depositing an accepted paper that will be or has been published in a journal anyway. The economic problem of subsequent gold OA to the final refereed and revised manuscript can then be dealt with separately—but at least that problem will not be simply denied or bypassed. None of this is a problem issue in the first place for those who hold the view that the formal refereeing process is of no value and does not add much to a paper, or that critique of research results should occur simply by community commenting. The precedent of the physicists on arXiv works, but so far there is no good example in biology. But those who see a value in peer review or even those who care about journal prestige and the perceived advantages of publishing in one venue rather than another will have to realize that peer review and high-quality article processing are associated with a cost that can’t be eliminated by sticking one’s head in the sand, or into green OA repositories. So let’s choose between honest solutions: Get rid of journal-based peer review altogether—or accept that it does not come for free and that a fair way of financing the service will have to be found.